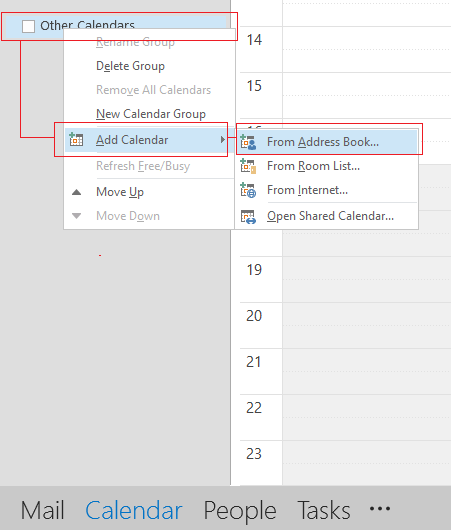 To be able to book room for students or other people without using your own user, you have to add the calendar-profile “Room Booking” in Outlook. To get permission to do that, mail it@nmbu.no. Then follow the steps below. 2. 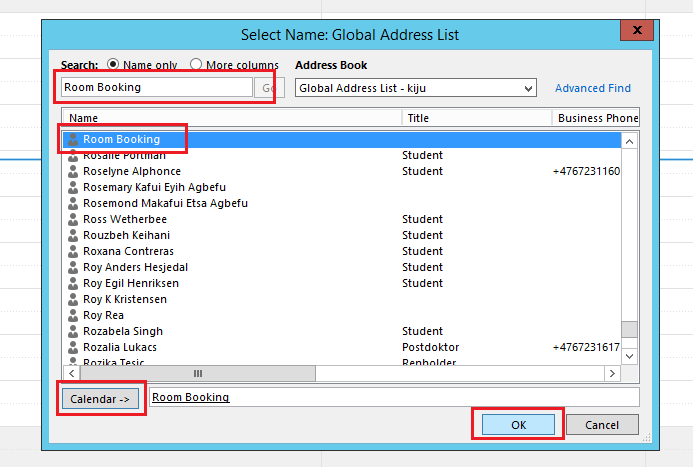 In the search field enter “Room Booking” and choose it from the list. Hit “Calendar ->” so “Room Booking” appears in the field beside it. Then hit “Ok”. 3. 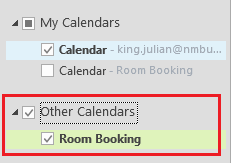 “Room Booking” should appear under “Other Calendars”. You should also have a new calendar appear to right of your own. 4. 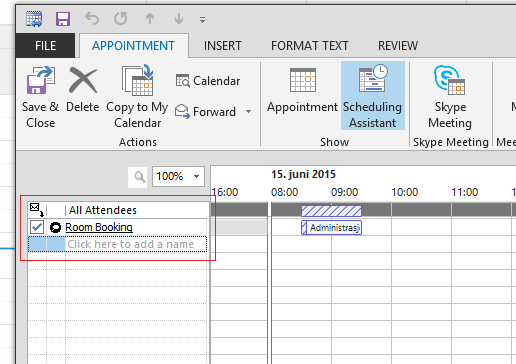 When booking for others it is important to mark day/hour in the “Room Booking” calendar, like in the picture below. This so the booking is done with “Room Booking” user and not your own. 5. Then the reservation is done the usual way, look at this guide if you need steps on how. 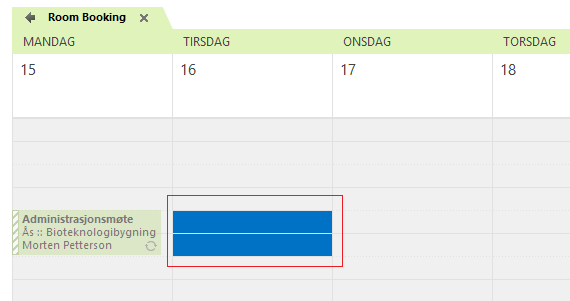 If you have chosen the correct calendar, you will see that “Room Booking” is event creator instead of you in the Scheduling Assistant. Like in the picture below.